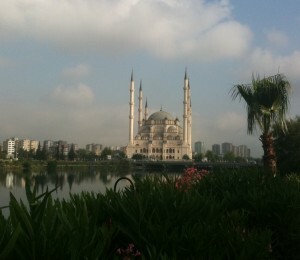 I am on a work related trip to Adana, staying at the Adana Hilton. I’ve been here before and can give a lot of praise for the hotel. Very good staff, clean, and all the amenities. Internet is very good and the food is superb. Now if only there was a Starbuck’s close by. I have written a few articles on some other blogging sites as well as a previous site of my own. I hope to keep the subject matter stimulating and factual. My favorite topics range anywhere from aviation (which is my primary occupation) to political (which I tend to ride a wave from left to right). Anything in between is a possibility and you may find that I will often rant about poor customer service, products that don’t work, or just keeping up to date with my travels. To be fair, I don’t enjoy ranting all over someone about some thing. I try to be a positive person and will rave about good things that happen as well. I hope to see you back… and I hope I can keep up with stimulating posts!